Win a copy of The BFG and Family Golden Tickets to the Roald Dahl Museum! Win a copy of The BFG and Family Golden Ticket to the Roald Dahl Museum! 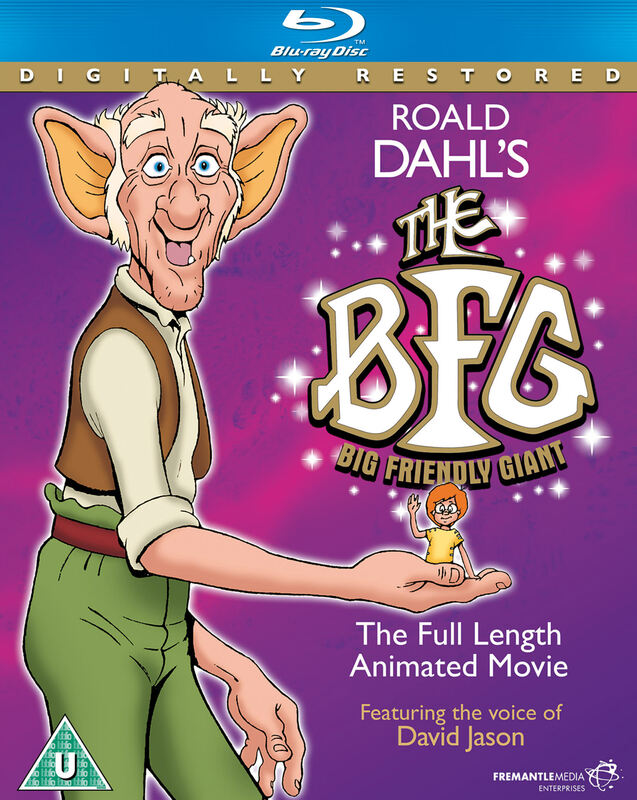 This week the digitally restored and first widescreen release of The BFG The Movie was released on DVD and Blu-ray. I love Roald Dahl books and The BFG was always one of my favourites. It was strange sitting down to watch a film from my childhood with the toddler but he loved it so I will be off to the library to find some Roald Dahl books to read together. To celebrate the release of the film I have a lovely competition for you, where you can win a copy of The BFG and Family Golden Ticket to the Roald Dahl Museum, details below. The BFG The Movie is available to own on DVD and Blu-ray since Monday. To celebrate the launch there are some BFG activities which your little ones are bound to enjoy which you can download here. There are also some fun activities across Facebook and Twitter, don’t forget to take a look at The BFG’s Giant Country app where you can turn yourself into a GIANT! To celebrate the digitally restored and first widescreen release of The BFG on 10th September, we are offering you the chance to win a Family Golden Ticket to The Roald Dahl Museum in Great Missenden, Buckinghamshire. On top of this, you will take home a copy of The BFG on DVD or Blu-ray, courtesy of Fremantle Media Enterprises. The award-winning Roald Dahl Museum and Story Centre consists of two fun and fact-packed biographical galleries – one now housing the interior of Roald Dahl’s writing hut – plus the interactive story centre. Visit www.roalddahlmuseum.org or call 01494 892192. Mandatory – Simply leave a comment telling me your favourite Roald Dahl character in a comment below. For a final entry subscribe to the gingerbread house via RSS or follow me via Networked Blogs. I have some exciting competitions coming up and I would hate for you to miss out! The prize consists of one family ticket to The Roald Dahl Museum in Great Missenden, Buckinghamshire and a copy of The BFG on DVD or Blu-ray. Travel expenses are not included and the ticket is not transferable to any other location or time. The giveaway ends September 20th at 8pm. The winner will be selected at random from all entries received and notified by email or their twitter handle. The prize is as stated: no cash alternatives are available. This competition is open to UK entrants only. The winners’ details will be passed to the PR company who are responsible for the prize. I always loved the BFG himself – he was so big and jumbly and because I lost both grandfathers at such a young age (so I had no memory of them) – he was kind of like the grandfather I imagined to have! All big and friendly! I ‘like’ Mrs Trunchbull in Matilda, well I like it when she gets her comeuppance! Danny in Danny the Champion of the World was always my favourite. I loved how using their brains Danny and his dad outwitted their enemy and everything came all right in the end. My favourite character is George from the brilliantly funny George’s Marvellous Medicine, what a concoction he brews up for his evil Grandma! My Favourite character was Sophie when I read the BFG as a child. I so wanted to be her! Charlie from Charlie & the Chocolate Factory – such a positive little fellow! I liked Miss Honey from Matilda! I love George in George’s Marvellous Medicine! Grandpa Joe in Willy Wonka. I like mr fox – he really is fantastci! Sophie in the BFG – I named my daughter after her! She was my hero when I was young. My favourite was Matilda. My kids love Charlie and the Chocolate factory. Mr Fox from Fantastic Mr Fox! Mine were the Twits. Especially Mr Twit who kept bits of food in his beard. We Love the Enormous Crocodile !!! my favourite is Willy Wonka, a complex but wonderful character! Either the BFG or Grumpa Joe…it’s a hard choice…they are all wonderful! Miss Trunchbull – so mean shes funny, I quite like the baddies. So many great characters but I love Veruca Salt. A fantastically bonkers name and it’s hilarious how her “I want it” selfishness gets its comeuppance. I always love Mr and Mrs Twit. Very funny. I like the Gran from the Witches, but don’t think she had a name!